I gathered all of the materials to work on his poster board. Sticky letters for the title, a print-out of a tooth, paint, glitter, paint brushes, and of course, the book! Miguelito loses a tooth, and both the Tooth Fairy (she collects lost teeth from children in United States, and English-speaking countries) and El Ratón Pérez (he collects lost teeth from children in Latin America, and Spain) are going to claim the tooth, but they are both surprised to see each other. El Ratón Pérez already has the tooth, and they start fighting over who gets to keep it. Both the Tooth Fairy and Ratón Pérez are pulling and pushing the tooth. Then they lose it, and when they find it by the book shelf neither one of them can get to it. They finally agree on helping each other to recover the lost tooth and in the end they share it with each other. I love how little one’s project turned out, and he was very happy about it. 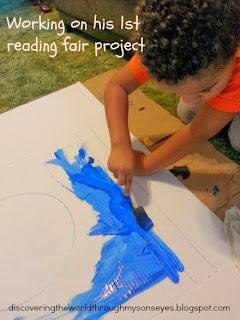 He was actually the only one in his classroom to work on the reading fair project. He was awarded a certificate, and a free meal to a fancy restaurant. This book is very special to me because I grew up finding coins under my pillow from “el ratoncito”; and now our child will have the best of both cultures. I love how the author brought together two totally different cultures, and traditions into a beautiful children’s story book. 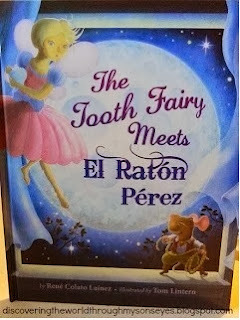 Both the Tooth Fairy, and El Ratón Pérez are claiming Miguelito’s tooth; and the author does an excellent job in conveying a message of acceptance through their differences and similarities. The illustrations are beautiful, and cartoonish which makes it fun to look at; and the story line although in English has words in Spanish as well. I would highly recommend this book as a multicultural addition to any home library. I love how this multicultural mash up of tooth fairies!! Thanks so much for linking up to our Multicultural Children's Book Day!!! Thank you for creating such a lovely project for the Tooth Fairy Meets El Ratón Pérez. What a great book for your son!! 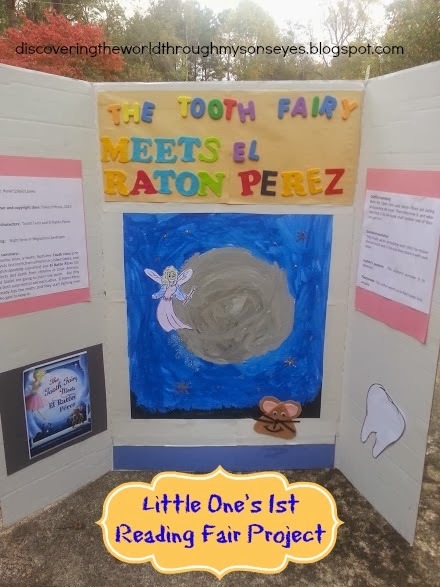 I'll bet that when he loses his first tooth, he'll have dreams of the Tooth Fairy and El Raton Perez fighting over it – so sweet! My mother-in-law just recently told me that she grew up with a mouse coming to collect her teeth – I'll have to find out more about where that tradition originated. 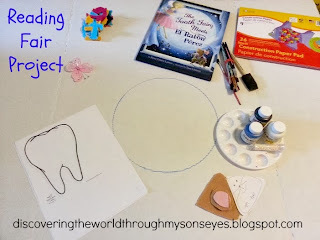 Very creative….love the fact that the book is bilingual and the activities are amazing. Thanks Kali! Your boys will enjoy it! Awe you're welcome, and thank you for bringing together two beautiful traditions, and cultures so beautifully! Thanks Pragmatic Mom! You're welcome, and I'm glad to join the MCBD! 🙂 Exciting! Oh wow Jody, please do find out more about such a fun tradition! I'm sure she has plenty of more stories to share! Thanks for stopping by! Thanks Barbara!!! Yes, it's a book that will spark anyone's creativity! Yes, please do look up the book in your library. Your friend will love it! I love that this book has the two fight over the tooth. What a fab idea. Sounds like a great book. Thank you for sharing it on MCCBD!